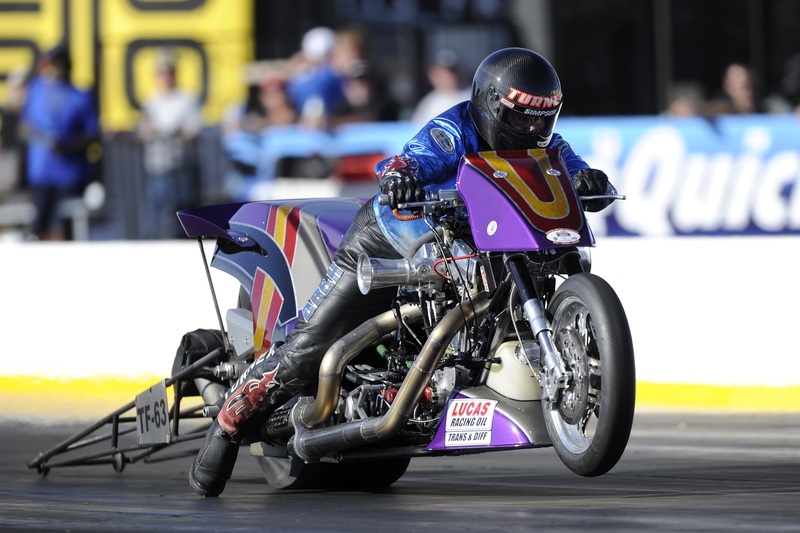 NHRA officials announced today that the popular Mickey Thompson Tires Top Fuel Harley Drag Racing Series category will expand and compete at 10 events on the 2018 NHRA Mello Yello Drag Racing Series schedule. The first race of the season will take place at the season-opening Circle K NHRA Winternationals at Auto Club Raceway at Pomona in Pomona, Calif. Feb. 8-11. The series will visit the Amalie Motor Oil NHRA Gatornationals and end their season at the Chevrolet Performance U.S. Nationals for the first time. 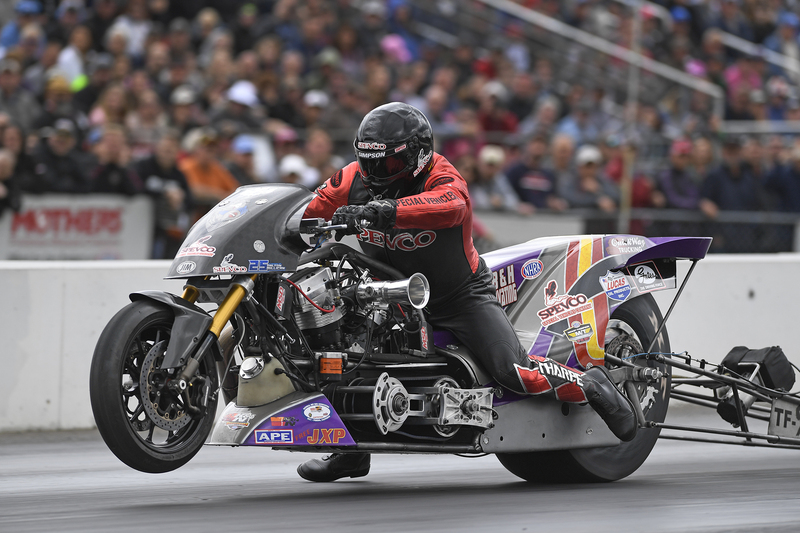 The category will again race at the NHRA Arizona Nationals, Denso Spark Plugs NHRA Nationals, NHRA SpringNationals, Menards NHRA Heartland Nationals presented by Minties, NHRA Thunder Valley Nationals, NHRA New England Nationals, and NHRA Northwest Nationals. The powerful two-wheel class will see an increase in qualifying sessions to four during the weekend and all 10 events will count towards the year-end championship, including a $17,000 purse. 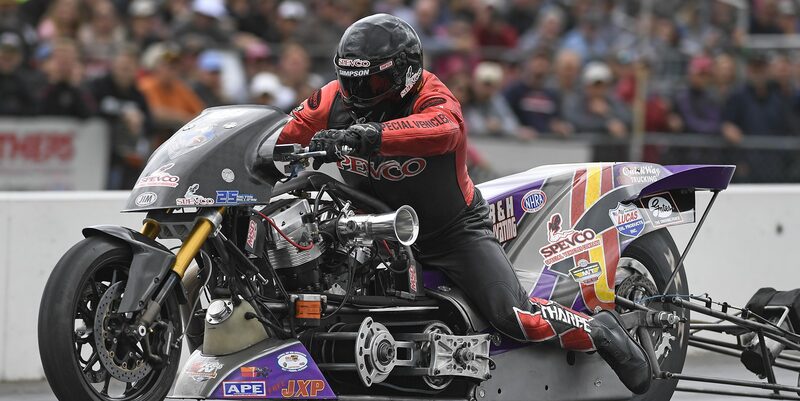 March 15-18 Amalie Motor Oil NHRA Gatornationals Gainesville, Fla.
May 18-20 NHRA Menards NHRA Heartland Nationals Topeka, Kan.
Headquartered in Glendora, Calif., NHRA is the primary sanctioning body for the sport of drag racing in the United States. NHRA presents 24 national events featuring the NHRA Mello Yello Drag Racing Series, NHRA Lucas Oil Drag Racing Series and NHRA J&A Service Pro Mod Drag Racing Series. NHRA provides competition opportunities for drivers of all levels in the NHRA Summit Racing Series and the NHRA Drags: Street Legal Style presented by AAA. NHRA also offers NHRA Jr. Street for teens and the Summit Racing Jr. Drag Racing League for youth ages 5 to 17. In addition, NHRA owns and operates four racing facilities: Atlanta Dragway in Georgia; Gainesville Raceway in Florida; Lucas Oil Raceway at Indianapolis; and Auto Club Raceway at Pomona in Southern California. For more information, log on to NHRA.com, or visit the official NHRA pages on Facebook, Instagram, YouTube and Twitter.